The winter months are a great time to catch-up on tree maintenance and prepare for the spring growing season. During the summer months, it is important to water trees but generally not perform maintenance (i.e. pruning or pest treatments); while during the fall season we try to keep-up with raking the leaves. With the onset of winter, trees enter their dormant season. Leaves have fallen, photosynthesis has stopped, and roots stop sending nutrients up the tree. 1. Allow leaves to remain on the ground instead of raking them. 2. Water newly planted trees regularly throughout the winter months. 3. Be alert for broken branches, prune before spring time. 4. Wet heavy snow and ice like last winter can break limbs, especially on evergreens – but so can knocking it off with a broom! Gently push snow off using upward movements. 5. Assess for structural pruning (remove competing central leaders, support healthy branches by removing competing subordinates, eliminate rubbing branches). 6. Protect trees prone to winter burn with anti desiccant spray. 7. Prevent sunscald on young or thin barked trees with trunk wrapping. 8. Apply 3” of leaf mulch around each tree, but not touch tree bark. 9. Consult the Extension Office Guide to Successful Pruning, Deciduous Tree Pruning Calendar (http://pubs.ext.vt.edu). 10. Tree service companies are looking for jobs this time of year so its a good time to prune larger mature trees. Always interview the company and demand to meet with a certified arborist when selecting a company. 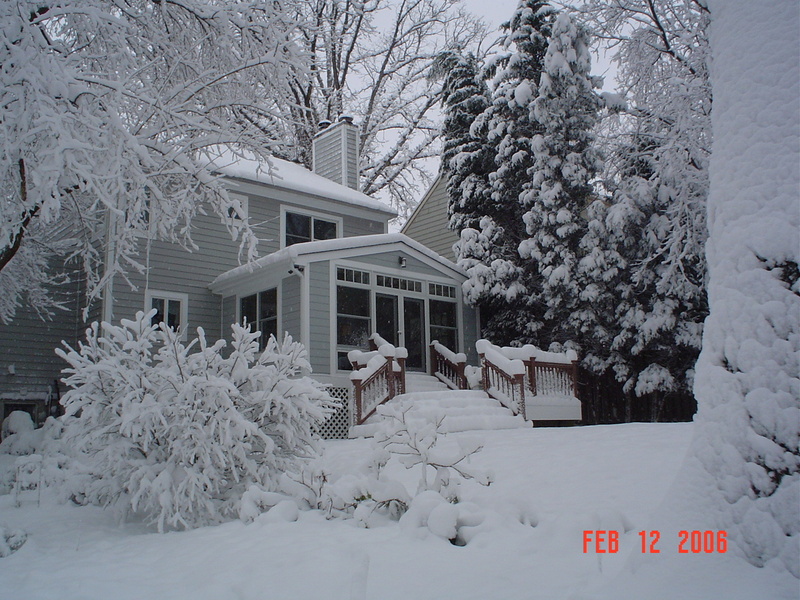 For additional winter care tips, call the Arlington Master Gardener Hotline at 703-228-6414. This entry was posted in Tree Care and tagged pruning, winter. Bookmark the permalink.